Did you know that there are less than 100 days until summer kicks off? Not that we’re counting. But we are starting to think about long days spent outdoors (especially at the beach!) 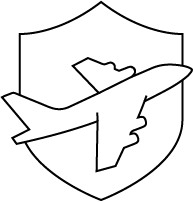 and the easiest ways to get back in shape without spending countless hours in the gym or giving up our favorite pizzas and desserts … the international ones, the non-chocolate ones, and of course, chocolate cake. And did we mention pie? Not just any pie, mind you, but healthy pies! Eat This, Not That introduced us to Chocolate Covered Katie and she’s our new BFF. When you try her cherry pie (or any of her other delicious and healthy recipes) you’ll understand why. 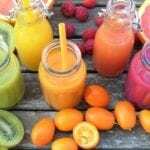 Not only are they delicious, but they’re low calorie, delicious and make it easy for us embrace healthy, clean living. If you don’t tell your guests it’s low fat, they’ll never know. In a large mixing bowl, combine the first 2 ingredients, then stir in the 3 tbsp. maple syrup and 1/4 cup oil to make a dough. It will seem dry at first, but just keep stirring until it turns into a dough. Smooth evenly into the prepared pan. Press down hard, and bake 12 minutes on the center rack. Toss the cherries and pinch stevia or tbsp. sweetener then spread evenly over the baked crust. In a third bowl, combine all remaining ingredients. Sprinkle the crumble evenly over the cherry layer. We recently did some research into vegan desserts and had our minds blown. They’re amazing and no one would ever know they’re vegan! 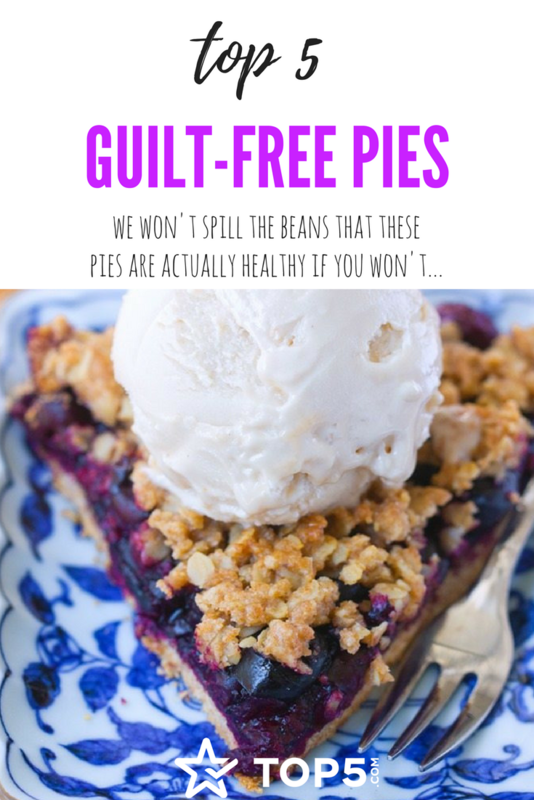 While researching healthy pies we were excited to come across this vegan option from Yummy Mummy Kitchen and completely fell in love. With summer just aroundthe corner, we can’t wait to serve this fresh-tasting concoction at our backyard BBQ. Preheatthe oven to 350º F. Stir together the graham cracker crumbs and melted Earth Balance. Press firmly into the bottom of a 9-inch springform pan. Bake for 10 minutes. Cool completely. Place drained cashews, avocado, coconut oil, lime zest and juice, sweetener, and milk into the bowl of a food processor or blender. Blend until completely smooth. Taste and add more sweetener to sweeten, and/or more lime juice, to reach desired tart/sweetness. I like this quite tart, so I add a few more squeezes of lime. 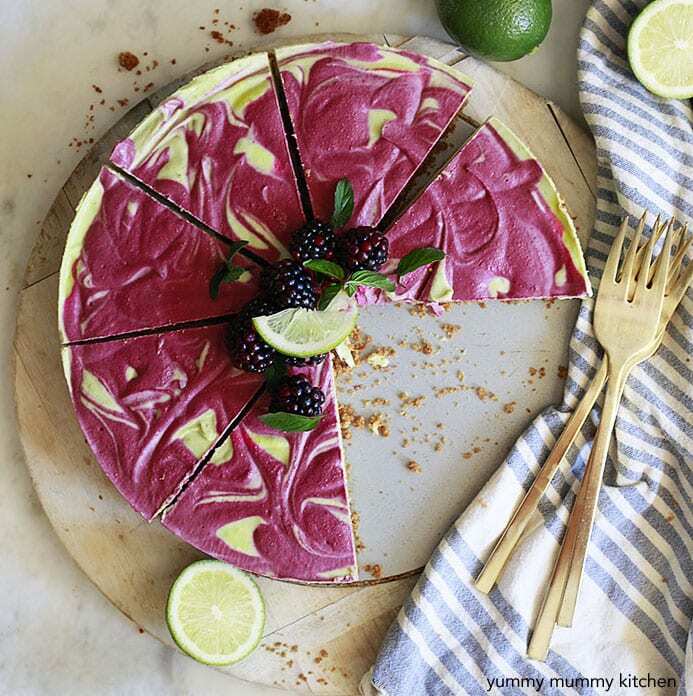 If you are making the blackberry swirl, pour 3/4 of the lime filling into the crust and smooth with a spatula. Add the blackberries to the blender with remaining lime filling and puree until very smooth. Place dollops of the blackberry mixture on top of the green mixture and swirl in. If your swirls aren’t going well you can just smooth the blackberry layer on top. 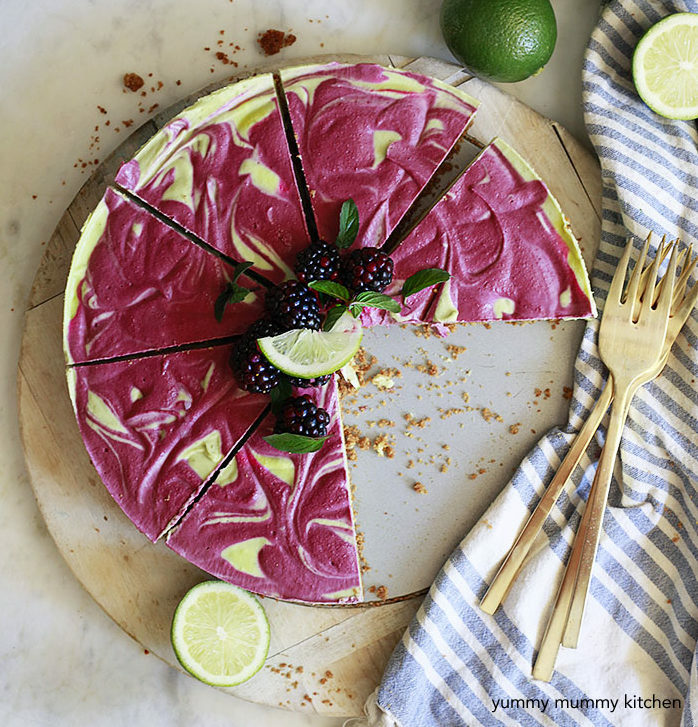 If you are decorating with blackberriesinstead of swirling, pour the entire batch of lime filling into the crust and smooth. Press blackberries into the top in any design you like. Cover with plastic wrap and freeze overnight or at least 4 hours until firm. To remove from springform pan, run the sides under warm water and release. Slice into wedges. Remove from freezer to thaw 10 minutes before serving. *Most graham crackers are not vegan, as they contain honey. You can find them in some stores, make your own, or use a date and nut-based crust if you would like this to be 100% vegan. Nabisco Original Grahams are vegan, according to PETA. Five ingredients. Quick. Easy. Paleo. No cooking involved. Need we say more? 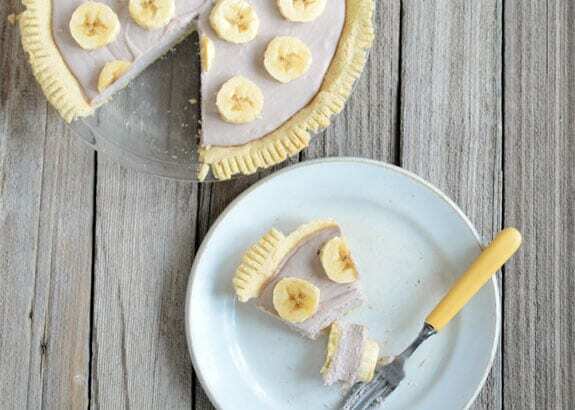 We love Elena’s Pantry for introducing us to her Banana Cream Pie. Yes, at first glance it looks like it has a high-fat content, but please don’t let that worry you — it’s still on our list of healthy pies and is one of our favorites. The fat content comes from the natural fat in coconut milk, which is full of vitamins that help combat bad bacteria and promote healthy, glowing skin! Plus, it’s low in carbs! In a Vitamix, combine coconut milk and coconut oil. 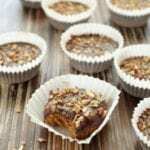 Blend in bananas, dates and stevia. 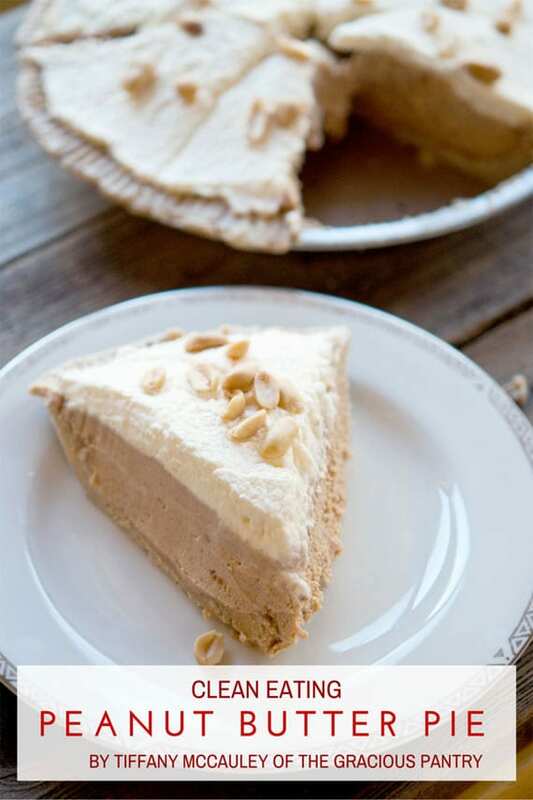 If you’re as obsessed with peanut butter as we are (we can’t get enough of these peanut butter restaurants), then you’ll love this pie. Low in saturated fat and high in protein, we can’t thank The Gracias Pantry enough for sharing this recipe with us. 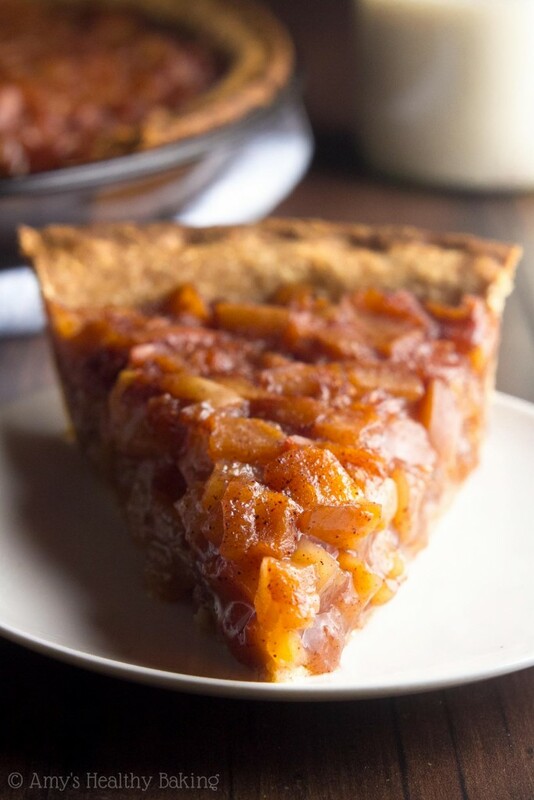 Plus, it only has four ingredients (not counting the crust) and is one of the easiest healthy pies on our list to make! In a large mixing bowl, combine all the filling ingredients and mix well.It will take a few minutes of whisking to really get the milk mixed in well, but you’ll have a very creamy filling when it finally does. Chill in refrigerator overnight (~12 hours). Top with your favorite whipped topping. Want more healthy peanut butter dessert options? Check out our Awesome Peanut Butter Cookie Recipes for Vegan, Low-Fat, Paleo and Gluten-Free Diets! There’s nothing more American than apple pie and we’re grateful to Amy’s Healthy Baking for sharing an alternative to the traditional sugary, caloric goodness: Amy’s Clean, Classic Apple Pie. We should warn you in advance — we saved the best for last, but this one is a bit more intense to make than the previous healthy pies we’ve shared up until now as there are three steps: make the filling, make the crust, fill the crust and bake. Add the diced apple to a slow cooker and toss with the lemon juice. Whisk together the remaining ingredients in a medium pot until smooth and the cornstarch has completely dissolved. 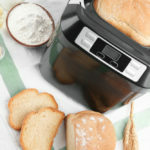 Cook over medium heat, stirring constantly, for 5–8 minutes or until the mixture starts to thicken and has reduced by a third. Pour the mixture over the apples and toss until all of the apples are coated. 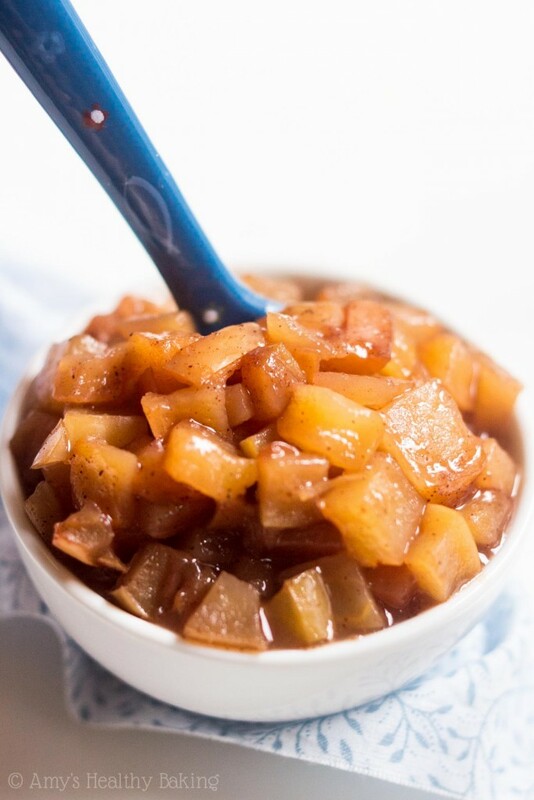 Cover the slow cooker with the lid, and cook the apples on HIGH heat for 3 1/2 hours, gently stirring after every hour, or until the apples are extremely tender. Cool completely to room temperature in the slow cooker before transferring to airtight containers and refrigerate. Whisk together the flour and salt in a medium bowl. 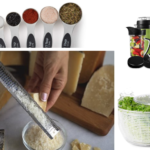 Cut in the butter using a pastry cutter or the back of a fork until the mixture resembles crumbs. Whisk together the milk and maple syrup, and drizzle over the flour mixture. Whisk together the vinegar and 1 teaspoon of water, and drizzle over the flour mixture. Mix until all of those liquid ingredients have been incorporated. Continue to addwater 1 teaspoon at a time and mix until completely incorporated until the mixture forms a dough. Transfer the dough to the center of a large sheet of plastic wrap and shape into a 4”-wide circle. Cover the top with another large sheet of plastic wrap. Chill the dough for at least 30 minutes. Preheat the oven to 425°F and coat a 9” pie plate with nonstick cooking spray. Leaving the dough between the sheets of plastic wrap, roll it out into an 11”-wide circle. Peel off the top layer of plastic wrap and turn it out into the prepared pie plate. Peel off the other layer of plastic wrap. Gently press the dough into the pie plate and trim the overhang. Spoon the apple pie filling into the center. 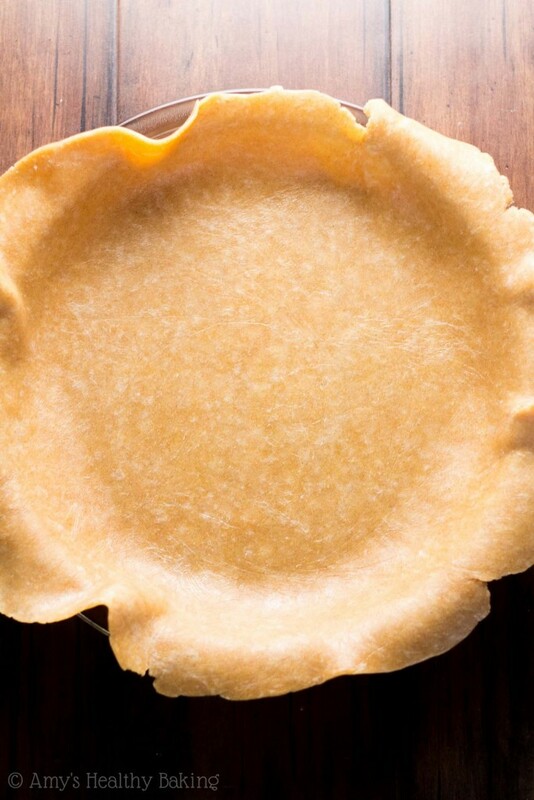 Cover the edges of the pie crust with foil to prevent burning. Bake the pie at 425°F for 15 minutes. 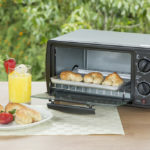 Without opening the oven door, reduce the temperature to 375°F and bake for an additional 15 minutes. Carefully remove the foil covering the crust and bake for another 15 minutes (45 minutes total) or until the crust is golden. Cool completely to room temperature; then let the pie set for an additional 3 hours before serving. 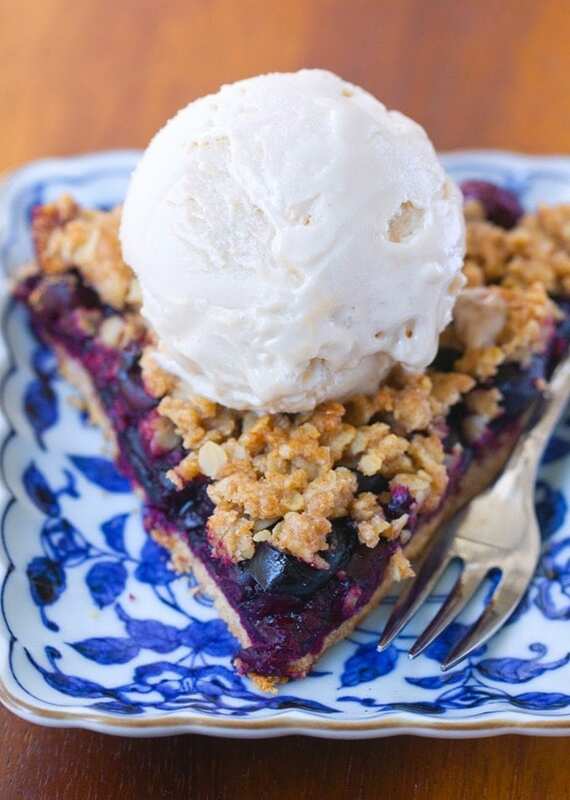 We hope you enjoy these healthy pie recipes as much as we do! 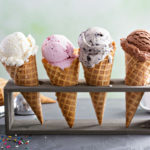 Do you have a favorite healthy dessert? Share it with us in the comments! 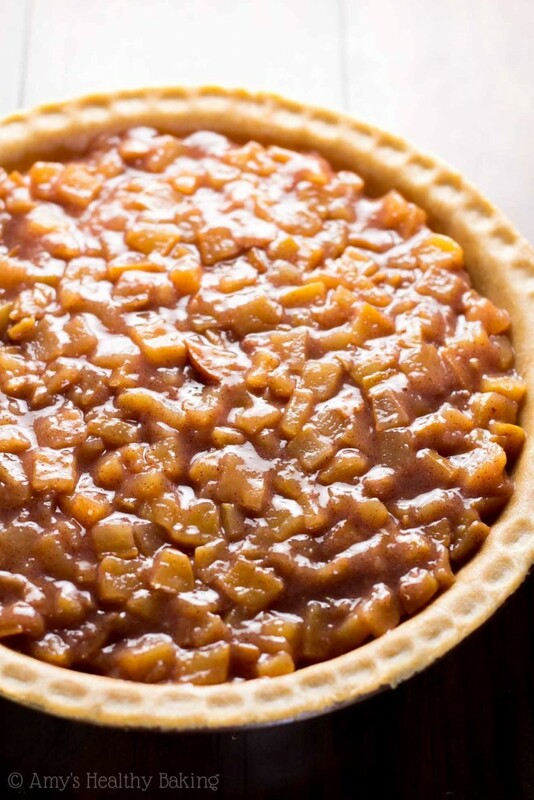 Bonus points if healthy pies are among your favorite post-dinner treat and you can share the recipe with us!